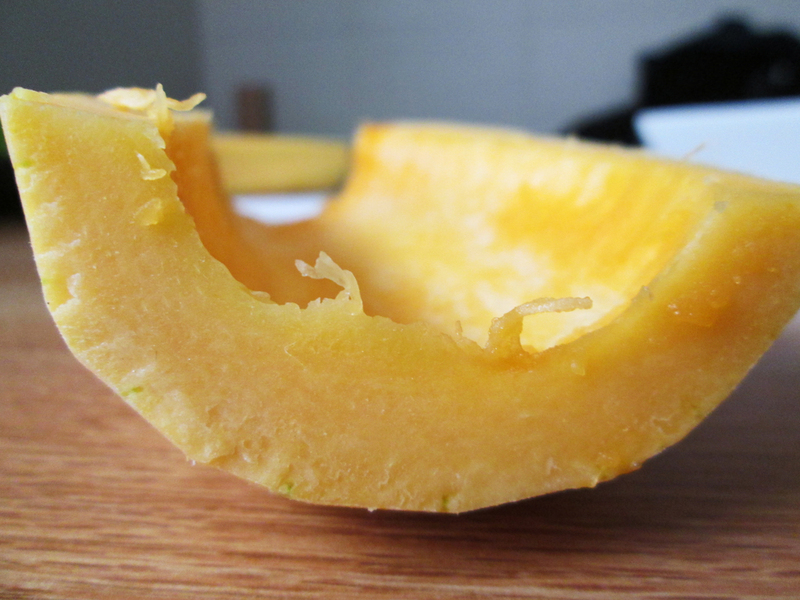 Fall is approaching, and it’s time to use a versatile and seasonal ingredient: squash! Butternut, acorn, kabocha, delicata, all of which invoke the earthy and nutty flavors of autumn. Of the plethora of squash to choose from, I prefer delicata squash for it’s beautifully colored skin, easy-to-cut shape, fragrant sweetness and ability to be eaten raw. This beautiful vegetable can be used in many different applications; a variety of textures can be achieved from the multitude of preparations a delicata can be put through. Such an ingredient should be celebrated, especially in season, so without further ado, here are several ideas on what you can do with a squash. Caramelizing this squash in a pan or roasting it in the oven will allow those starches and sugars to brown, giving it a rich, nutty flavor with smokier accents. It makes for an addictive combination of sweet, dark and bitter. The end result is something with a crisp, caramelized exterior and a soft, creamy interior. To make a healthier version on an American classic, one could bake matchsticks of squash to create squash home fries! Crispy, crunchy, sweet and salty, and not nearly as fattening, this healthier take on pommes frites are a guaranteed way to get kids and adults alike to eat their vegetables. Before you throw out those squash seeds, know this: once roasted, they are perfectly edible and a great snack! Squash seeds can be roasted in an oven or pan, which will transform them into crunchy, nutty, toasty morsels. 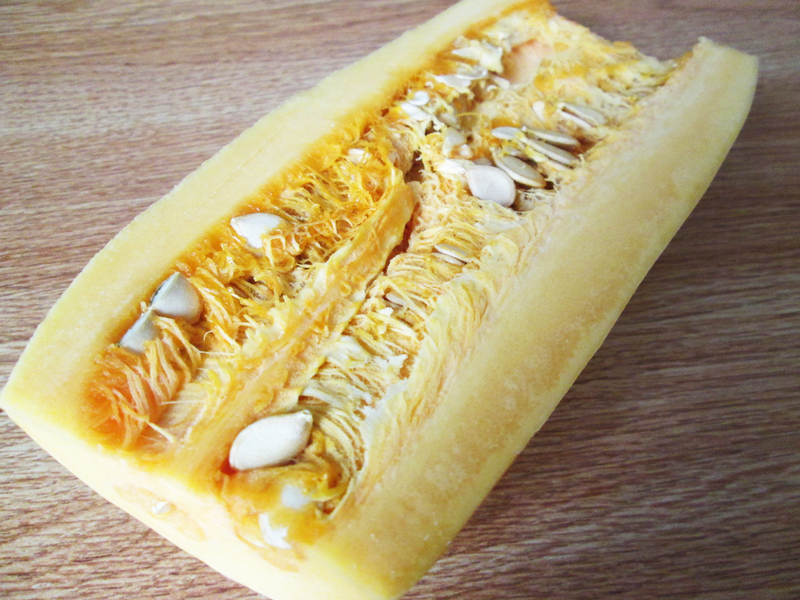 Toasted squash seeds can be eaten by the handful, just based on how addictive their texture is. They also can help your immune system, promote eye health, and are loaded with antioxidants. A neighbor of mine used to make squash butter, something that would always make us look forward to fall– when she would give us a jar of it. Pureeing the squash and adding in spices, sugar, cider and brown butter can make this colorful pumpkin made into a smooth, creamy spread that can be eaten on toast! In fact, a bestseller at a restaurant I used to work at was pumpkin toast, which comprised of creamy pumpkin and crab on top of a toasted baguette. Another way to utilize squash, something especially popular at dinner parties, is making it the filling in a pasta dish. Pairing a thick, but smooth, squash purée with ricotta or mascarpone cheese makes for a sweet, fluffy filling, perfect to stuff into any ravioli, agnolotti, or tortellini that you plan on making the next time you decide to get daring in the kitchen. Another method, if you’re not so confident in filling your pasta, is dicing the squash, caramelizing it, and serving it with longer noodles or a more rustic shape like orecchiette or maltagliati. Another intriguing application for squash is in a crostata. If you want to make a modern take on a pumpkin pie, simply take slices of caramelized and spiced squash and enrobe them in a flaky, buttery pastry dough to create a squash crostata. A crostata is a free-formed tartlet, involving a dough that is folded around its filling and then baked. If you want to really bring out that pumpkin-like flavor, you could even go as far as chopping roasted seeds and mixing that into your crostata dough! Serving that with a Chai tea gelato or a squash custard makes for a fantastic autumn dessert! A personal favorite of mine is making a crème pâtissière, or pastry cream, and folding in delicata squash purée to make a velvety, yet nutty and sweet squash custard. This sort of custard is delicious inside of cakes and cream puffs but can also be baked and made into squash crème brûlée which cradles those fragrant, warming fall flavors in a layer of crisp, bittersweet caramel. So the next time you think about grabbing a pumpkin or squash, think about what else you can do. Go outside the classic pie, slaw, or soup–because with such a wonderful ingredient, which you can eat cooked or raw as well as almost every part of, the ideas really are endless!